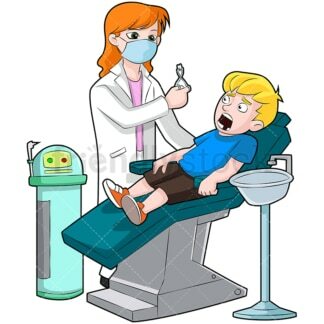 Royalty-free vector illustration of a grimacing little blonde boy squirming in a green dentist chair looking terrified. 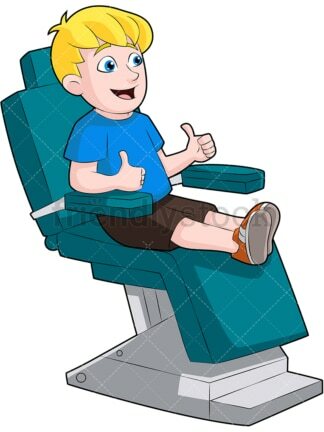 Royalty-free vector illustration of a smiling boy sitting in a green dentist chair giving the thumbs up sign with both hands. Looks like he passed his checkup! 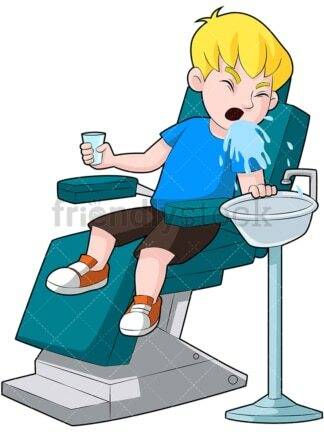 Royalty-free vector illustration of a boy in a dentist chair spitting water into the basin. He’s making a disgusted face and looking uncomfortable! 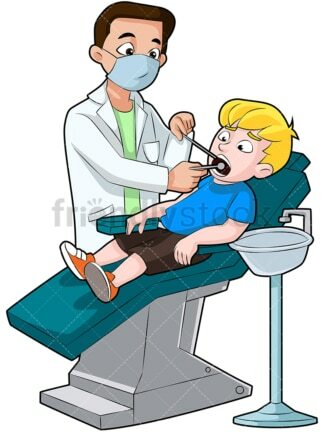 Royalty-free vector illustration of a terrified boy getting his teeth checked by the dentist. The dentist is holding instruments in the boy’s mouth and the boy has a frightened expression. 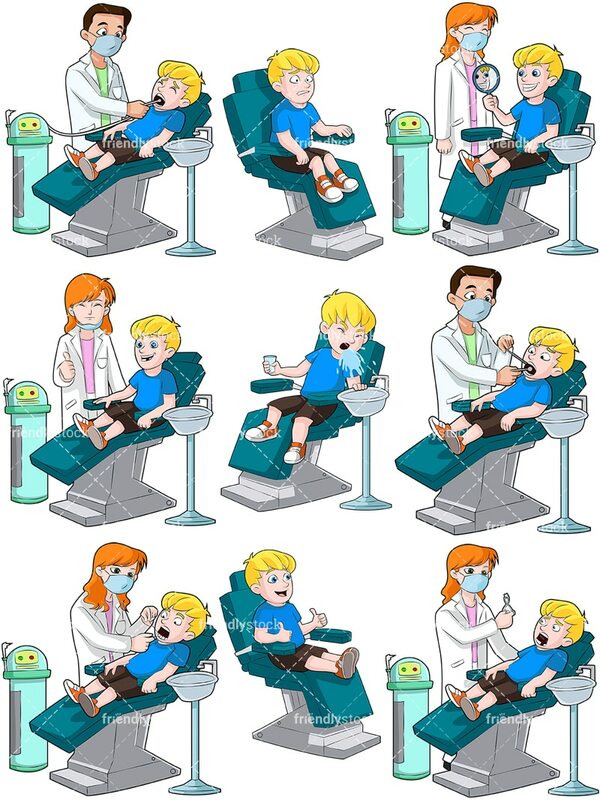 Royalty-free vector illustration of a boy lying in a dentist chair, squinting as his teeth are rinsed. Looks like the boy just wants it to be over! Royalty-free vector illustration of a red-haired lady dentist holding up a pulled tooth next to a freaked-out little boy. Royalty-free vector illustration of a female dentist flossing the teeth of a little boy in the dentist chair. He’s opening his mouth wide and looking cross-eyed toward her hands. Royalty-free vector illustration of a grinning boy in a dentist chair as the red-haired lady dentist gives the thumbs up sign. Royalty-free vector illustration of a little boy in a dentist chair looking at his shiny teeth in the mirror. He’s smiling as his happy dentist looks on.